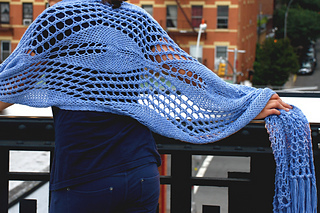 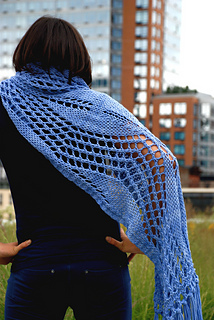 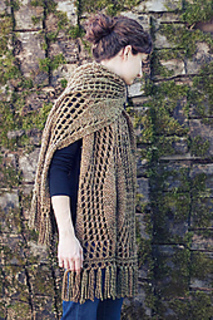 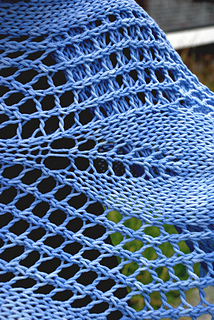 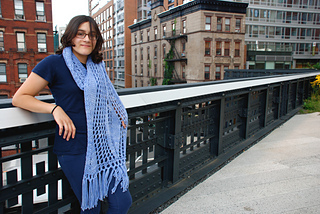 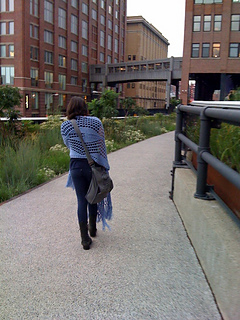 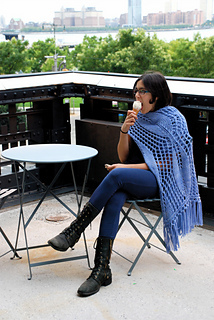 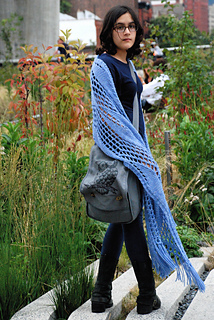 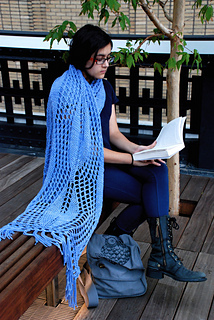 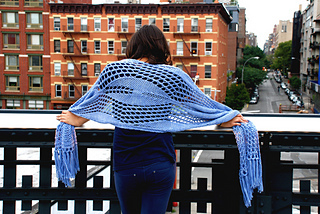 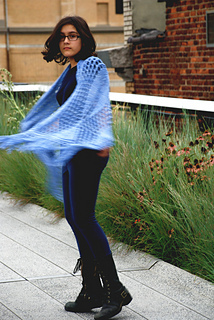 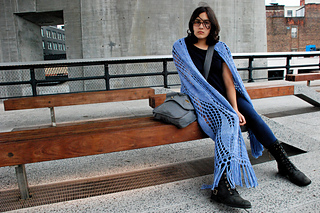 This shawl is named for NYC’s new High Line park. 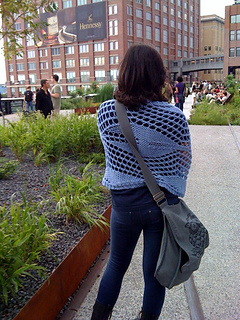 If you are in Manhattan, take time to visit this wonderful new park. 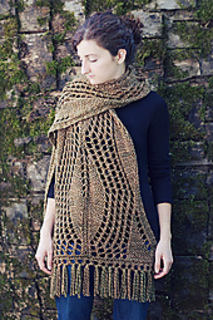 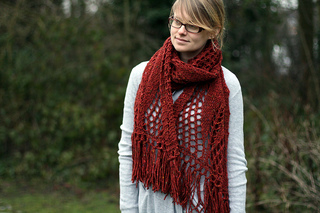 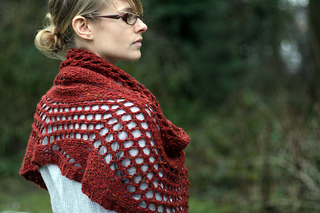 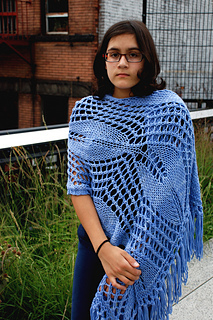 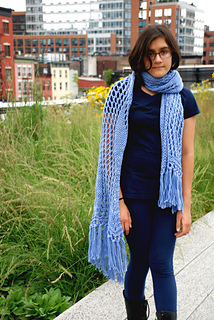 Note that although the yarn used for this design is called “Worsted Hand Dyes” it is heavier than worsted weight. 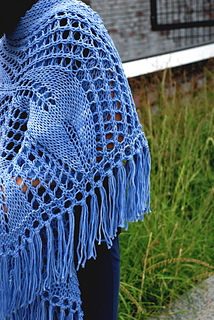 When choosing a yarn for this pattern look for something more in the chunky/bulky weight to achieve the look of the shawl in the photos.